HarvXtra® Alfalfa with Roundup Ready® Technology is truly a gamechanger in alfalfa production, and one of the most exciting breakthroughs to hit alfalfa and forage production ever. 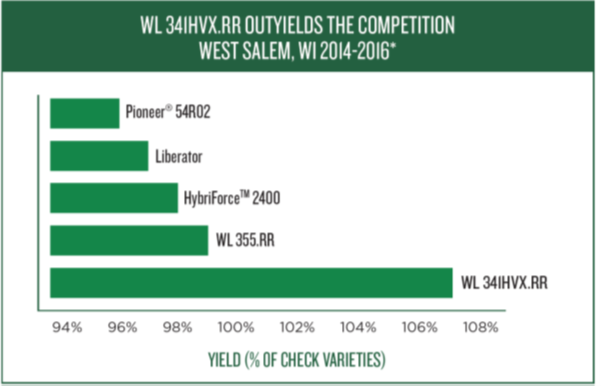 Our first release, WL 341HVX.RR provides growers with expanded flexibility in cutting schedule to protect forage quality, or the ability to greatly enhance fiber digestibility and overall feed value while maintaining current harvest timing. Either option delivers tremendous value no matter the type of grower or operation. Planting WL 341HVX.RR utilizing the Roundup Ready® weed control system provides many benefits over conventional herbicide programs.